I’ll be joining Radio France Internationale correspondent Claude Porsella, TF1 correspondent Guillaume Debré, and fellow cartoonists Jeff Danzinger (New York Times Syndicate), Kal (The Economist, ex-Baltimore Sun) and Nick Galifianakis (Washington Post Writers Group) for a panel discussion about the French presidential elections tomorrow night in Washington. Today is day two and the final day of the Alternative Press Expo (APE) independent and small press comics creator confab at 620 7th Street (near Brannan) in San Francisco. Come out and buy artwork and books by yours truly, Mikhaela B. Reid, Masheka Wood, Ben Smith, Matt Bors, August Pollak, Stephanie McMillan and others. Look for the CWA booth! Yesterday was fun but soggy; today is looking to be sunny and dry. It’s today between 11 and 5; hope to meet you there. Media Matters for America, founded by David Brock, is crowing from the sorta-left (can you really trust an ideological traitor?) about Imus’ firing. MM is even distributing a hit list of right-wing talk show hosts and others who they want to see fired for spewing what they deem to be offensive language. Charmers all around, I’m sure. Well, congratulations. It took you 30 years to notice that he told tasteless (and often funny) jokes, many of which relied on racial and gender stereotypes, but he’s gone. Hurrah! Meanwhile, the Rutgers women he offended have seen their lives improve not…one…bit. Their fathers and brothers still risk getting pulled over and searched and beaten and raped and murdered by police for no reason whatsoever. African-American team members whose parents live in inner cities spent their spring breaks in areas that have been abandoned by city and state governments that don’t care what happens to them. Their own job prospects are limited by their skin color. But hey, at least they got that loud-mouth talk show host fired. Yay for racial justice! No one is crowing louder than the left. There’s just one, or maybe two problems: One, it’s not like Imus will be replaced by, say, me. (I’m keeping my phone open just in case CBS calls, though.) Two, he was one of the most progressive voices on talk radio. 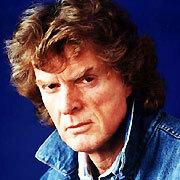 Obviously, Imus’ “hos” joke was stupid. But an apology was more than sufficient. He didn’t deserve to be fired. Could it be that the P.C. soft-liberal “left” has played into the Republicans’ hands–again? You are currently browsing the Tedrall's Blog blog archives for April, 2007.